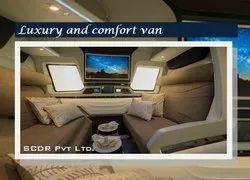 Securago Car Design Research Academy Private Limited - Architect / Interior Design / Town Planner of diploma in car design, securago car design research academy & autocad design in Nagpur, Maharashtra. Car design programs teach individuals about the process of how to design a car's interior and exterior. 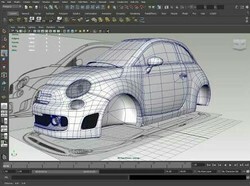 Read on for more information about the types of courses and programs which teach car design. Securago Car Design Research Academy. Car design courses are available through many certificate, bachelor's, and master's degree programs in industrial, transportation, and vehicle design, as well as mechanical engineering. The curriculum spans introductory level topics like general design to more advanced, specialized areas depending on the career goals of the student, such as emission control and advanced mechanics. Students generally have independent project requirements, and a large portion of class time is often spent doing hands-on work. Depending on the scope and type of degree, programs may take anywhere from two or three semesters to a full four years to complete. A car Design is the best field of automotive. Perception of a new car by a potential customer usually from along different levels of car Design expenditure. 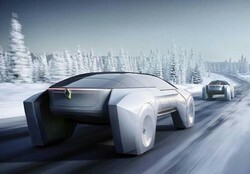 Practicality- To Ensure that a vehicle concept provides the required space to expand design. That is the car Design representations. SCDR Design academy stresses the need to attach them young and encourage to think and Dream big. This will definitely make india a knowledge super in the future. The SCDR stays abreast of new development in technologies and learning systems so as to give our students the skills and attribute they need to succeed in a global work environment. We strive to develop graduate who are prepared for the future, ready for the changing needs of the workplace, and trained for a life of on going learning ans professional success. SCDR is committed towards acquiring quality education. I assure that it will leave no Stone unturned in its towards acheaving this goal. I take this opportunity to reaffirm my full support to all students and wish them the brightest success in their chosen field for their future. 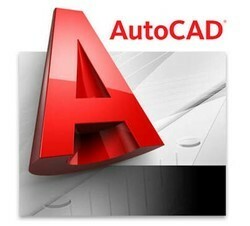 Diploma in car Design, Transportation Design, AutoCAD, Sketchbook pro., Interior & Exterior Design, Project management, Digital & 3D modeling, 2D & 3D Design project, Summer training, Winter training, Internship program. Highlights- certification courses, Diploma and Management courses, international certification, Live projects, Professional training, Dedicated Classroom, Expert trainer and practically Research. 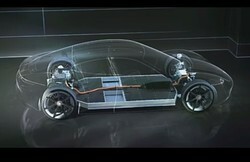 Car Design, Transportation Design, mechanical design. Over the years, automotive suppliers have been increasingly asked to deliver more complex and extensive assemblies. For instance, seating suppliers are given more responsibility for the development as well as the testing of the seats. Automakers are also looking for suppliers who can deliver the entire module such as acoustic package or cockpit module. Dassault Systèmes (DS)' Interior / Exterior Trim Engineering & Manufacturing solution is designed for the automotive OEMs and their suppliers in support of the highly collaborative process of an automotive module development. It covers the entire spectrum of product development and manufacturing activities - from design to product testing and assembly processes. The comprehensive, end-to-end solution eliminates the mismatch of information across the extended design, analysis and manufacturing teams as design changes are always visible and controllable by all key stakeholders. This provides distinct advantages and benefits such as the potential to carry out multi-disciplinary product and process optimization in a comprehensive manner. Dassault Systèmes' flagship product, CATIA, has been the preferred CAD software in the automotive industry to design complex automotive interior and exterior trim products. We provide various tools and techniques to accelerate design and change cycles, for example by using design templates and morphing techniques. This enables the engineers to substantially reduce design costs through capturing and reusing design know-how. With requirements as varied as passenger protection, structural integrity, and noise remediation, today's automotive interiors require a level of sophistication far greater than those in the past. Engineering materials such as foams, vinyl, and other polymeric materials also demand complex assumptions and simulation techniques. Dassault Systèmes' comprehensive simulation capabilities cover a wide variety of interior analyses to model seats, doors, instrument panels, interior acoustics. Sophisticated material models and advanced features such as integrated structural acoustics allow organizations to advance beyond yesterday's approaches to reinvent a more modern automotive interior. To address any potential manufacturing issues, collaboration between designers and manufacturing engineers is essential before any molds and tools are produced. The Interior / Exterior Trim Engineering & Manufacturing solution helps ensure that mold and tooling design are automatically and seamlessly created within the same digital product definition as the part. Relational design capabilities allow modifications made to the part design to be directly propagated to the associated molds and tools, avoiding inconsistencies and costly iterations. Using advanced knowledge management capabilities, manufacturing specifications can be captured and embedded in the design templates and introduced early on in the development process. 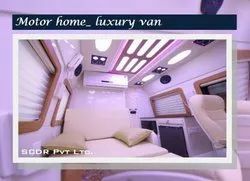 Automotive design is a set of professionalvocations or occupations involved in the development of the appearance, and to some extent the ergonomics, of motor vehicles or more specifically road vehicles. See glossary of automotive design. This most commonly refers to automobilesbut also refers to motorcycles, trucks, buses, coaches, and vans. The functional design and development of a modern motor vehicle is typically done by a large team from many different disciplines included within automotive engineering, however, design roles are not associated with requirements for Professional or Chartered-Engineer qualifications. Automotive design in this context is primarily concerned with developing the visual appearance or aesthetics of the vehicle, though it is also involved in the creation of the product concept. Automotive design is practiced by designers who may have an art background and a degree in industrial design or transportation design. Design elements That is the product design process. 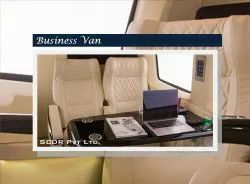 From face-lift to complete transformation, we upgrade the exteriors of your business van from various available options. A monocoque body and air suspension that ensures total safety and enhanced ride quality.